Homily at St Philip Evans, for the 18th Sunday of Ordinary Time. 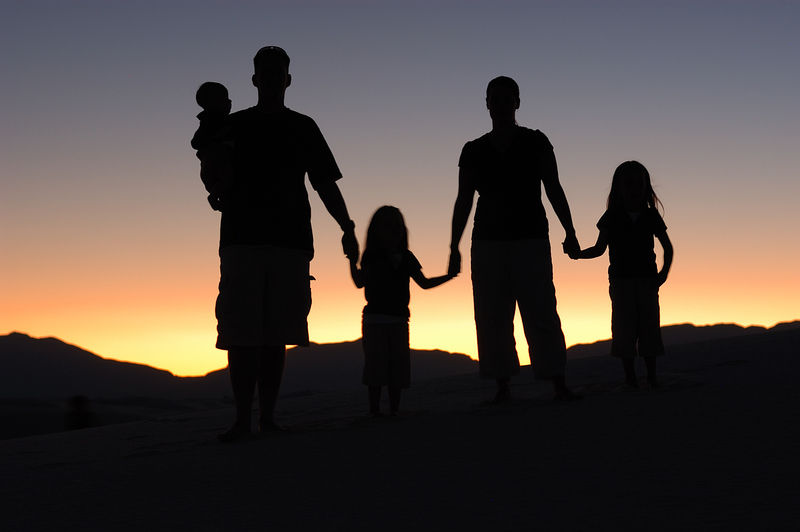 Continuing our series on the Family, based on Amoris Laetitia. There’s a story about a saint who decided to spend some time alone, praying, on a high mountain. At first, his prayers were going well, but then the sun began to set and he started to feel the cold. In his prayers he started complaining to God about the discomfort he was feeling. That saint understood that everything we have is an undeserved gift from God. That’s an important attitude, which vaccinates us from a terrible spiritual disease: consumerism! In the nine years I’ve been a priest, I’ve had innumerable conversations with parishioners whose lives have been ruined by disputes about inheritance. They have expected to receive a certain amount in a will, but either they were left less than they hoped for, or another family member failed to hand over what they ought to have done, or in the absence of written instructions, the person didn’t inherit what they believed they were entitled to. Now I’m the first to recognise that when you expect to inherit something, it’s easy to daydream. My parents own a house, and when the time comes, its value will probably be split between my brother and myself. Since I don’t have a mortgage, I can imagine paying for a round-the-world holiday, or buying a brand-new car, or sponsoring some expensive charitable project. Yet maybe that won’t happen. Maybe between now and then, the value of the house will have to be transformed into healthcare fees – or a survey might find an old mineshaft under its foundations and decimate the value. Even Jesus was reluctant to get involved in a property dispute. “Who appointed me your judge?” he asks. In fact, one day Jesus will judge us, because the God He calls Father has appointed him judge over all humanity. But he will judge us on the quality of our generous giving. And when it comes to questions of inheritance, the Old Testament preacher Qoheleth has nailed it. The only person who earned the wealth will one day die, so inevitably it will go so someone who hasn’t earned it. That’s why it’s a big mistake to ask whether an inheritance is fair. Inheritances are intrinsically generous. So the only real complaint we can make is that the will-maker was not as generous towards us as we hoped. Now I’ll admit that it’s certainly unfair if someone makes you a verbal promise and doesn’t follow up by writing that into their will – but that’s about breaking your word, which is a different issue altogether. St Paul reminds us that we must live according to the values of heaven. We must not lie to one another. We must let go of desires for unearned wealth, and for inappropriate sexual relationships – if these things take hold of our life, they become false gods. Yes, these things tempt us. But we have free will, and the more we choose the values of heaven, the more each one of us becomes a living image of Jesus Himself. So what choices might we need to make? Remember, when it comes to any inheritance, it’s not your money. You might have had a certain expectation. Maybe the will-writer even told you they were leaving you something, but even then, treat it as an undeserved gift. Don’t let it possess you. 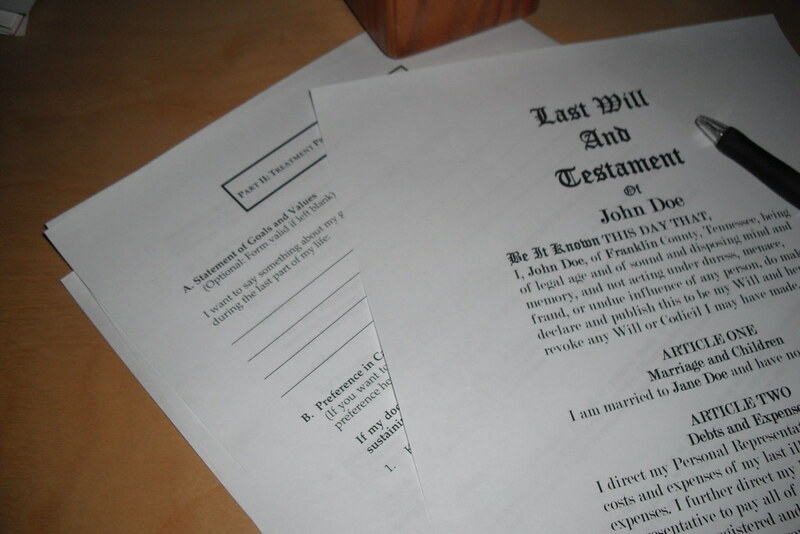 Are you angry with a deceased relative for not including you in their will? Let it go. It was never your money in the first place. Pray for their soul! Are you angry with a living relative for not sharing a portion of their inheritance with you? Let it go. They have had their reward already. Pray for their conversion! Are you angry because the executor of a will is being slow to give you your inheritance? Let it go. God will allow your portion to come to you at a time when you’ll need it. Don’t rush to law to sue for what is yours – write to the executor and explain the terms under which you will lend them your share of the inheritance for a reasonable period. Love and bless your adversary! There again, perhaps you are arguing with other family members because you’re the one holding the lion’s share of the inheritance, and other members of your family feel hard done by. If so, you’ve received an undeserved gift. How much of that gift will you share with your extended family? The Lord who said “Freely you have received, freely give” is also warning you that no amount of money will give you security – the Christian paradox is that only through giving can we truly receive what we need. Pope Francis, in his great letter on the Joy of Love, doesn’t say anything specific about wills and inheritance, but he does mention the dangers of consumerism. In this “buy what you want” age, we are tempted to only pursue relationships which satisfy us, to fear the economic consequences of having children, and to have unrealistic expectations of living a life free of responsibility for others. At worst, we lose the ability to be tender towards others and to recognise true beauty. One last thought. If you’re fretting about a gift you haven’t received, give something away as soon as possible. If that feels too hard for you to do – how can you expect anyone else to give anything to you? Homily at St Philip Evans, for the 16th Sunday of Ordinary Time. Today’s Bible readings lead us into the fraught area of family relationships. Martha is at odds with her sister, Mary, and tries to draw Jesus Himself into the conflict. They also remind us that God loves families. God’s unexpected promise to Abraham resulted in the birth of a son, Isaac, grandfather of the 12 children who would be the ancestors of the Israelites. Jesus was born to the family of Mary and Joseph, and befriended the household of another Mary, Martha and Lazarus. In families, we can find amazing love. And in families, we will experience annoying strife. Martha falls into the trap of putting her own goals first – getting the housework done. Jesus points out that Mary has chosen what is truly valuable. In our own age, Pope Francis has written about family tensions and suggests how we can find joy. What he has written is especially important for relationships between husbands and wives, but much applies also to every group of family members who live under one roof. Within families, we must use the words “please”, “thanks”, and “sorry” every day. There are no perfect families; but as we address together our limits, defects and imperfections, we grow in our ability to love and can hope that “the best is yet to come”. One big question young people ask is why two people should bother to get married rather than just living together. Marriage is a declaration that two people wish to start a new social unit: independent of their parents but taking responsibility for each other. Marriage allows each spouse to declare in a public ceremony that they have found their partner to be worthy of unconditional love! More than that, there’s strong evidence that a couple is much more likely to stay together if the partners have made public promises to each other. Pope Francis notes that lovers are looking for something permanent. Children and friends of married couples long for their love to endure. All humans have an instinct for sealing a permanent bond; for us as Christian believers, we see that such a vow is an image of God’s faithfulness to us. Even so, the Pope reminds us to be realistic: no human marriage can perfectly reflect the love of the Blessed Trinity. It’s a good thing to grow old together, to care for one another’s needs. This needs a commitment to unselfishness. For many young people, this is a scary thought – if I make a lifelong promise, am I closing off my other options? Yes – but consider the alternative! If I’m not willing to make a lifelong promise, can I reasonably expect another person to always be there for me? No. Marriage isn’t always pleasurable, but there can be joy experienced even amid sorrow as couples deal with ups and downs, growing ever closer in friendship. Pope Francis knows that the way we do family is changing. In past ages, it would have been normal for a husband to go out to work and make the big decisions, and for a wife to do all the housework. Now, the Pope notes, there’s a more equal sharing of responsibility, and better communication between husband and wife. And communication is key! Mary knew that the most important thing on that day was to sit and listen to Jesus. We too must make time to listen to God – but we must also take time to listen to the important people in our lives. In any important relationship, we must take time to deeply listen to one another. No matter how much you think you’re in the right, affirm the other person’s right to have their own perspective – indeed, welcome the fact that they see things differently. Don’t raise awkward ideas needlessly, or speak in a tone of voice which could cause offence – and deal with the most painful issues sensitively. How did Jesus resolve this family dispute? He asked Martha: “What’s really important?” The young mother I met wanted husbands and wives to know “The best way to love your children is to love your spouse.” All of us are called to “love our neighbour”. So whatever is causing stress in your family right now, reflect on the Lord’s question: “What’s really important?” Choose your answer carefully, because you will be living with it for the rest of your life! We are called to be witnesses to the love of God and the goodness of marriage. Christians must be seen to be willing to lay down their lives for others, and forgive without condemning; parents do this instinctively. Violence begets violence within families; each family should foster open and supportive relationships, good communication and shared activities. Broken families lose their ability to shield members from addictive temptations. We recognise the very difficult choices faced by single mothers in situations of poverty; we must not rush to criticise their life-choices but find ways to offer the healing message of the Gospel. Migration disrupts or destroys families, especially when enforced by violence. The Church has a special call to work with migrants, and is especially concerned about Christians persecuted in the Middle East. The Catholic Church offers useful resources to support marriage and family life in England and Wales: www.catholicfamily.org.uk – the American Bishops have some very useful resources too at www.foryourmarriage.org. If you are married to a person active in another Christian denomination, you will find support from other people who understand the joys and tensions of this situation at www.interchurchfamilies.org.uk. If you are ready to go on a weekend which will enrich your marriage, WorldWide Marriage Encounter wwme.org.uk offers residential weekends and SmartLoving smartloving.org offers non-residential weekends or days. If you are feeling more ambitious and can devote six days, the Chemin Neuf community www.chemin-neuf.org.uk runs a “Cana Week” in South-West England each summer. Or if it’s simply not possible for you to go away at the moment, you can work through the REFOCCUS Marriage Enrichment programme from www.foccusinc.com at home. If you are aware that there are more serious issues in your marriage which you need to address, Marriage Care can help: phone 0800 389 3801 for an appointment or visit www.marriagecare.org.uk. Retrouvaille www.retrouvaille.org is a mainly Catholic group offering retreats and day workshops for married couples in difficulty, and will be running a day in Hertfordshire on 16 September 2016. Finally, if you are not comfortable with the way your partner is treating you, but don’t know where else to turn, be aware that there is a 24-hour National Domestic Violence Helpline which you can access on 0808 2000 247. Homily at St Joseph’s, Guildford, for members of the Homegroups and participants in a recent Alpha course. Readings: Acts 2:42-47 and Matthew 10:7-15. Last weekend, at Sunday Mass, we heard Jesus send 72 of his followers to announce his coming in the villages he was about to visit. Tonight, he commands his 12 apostles to announce his message as they go along, and to stay in each town as long as they were welcome. I’ve got good news for you. You don’t have to go anywhere. You’re already where God wants you to be – the Gospel has spread from Galilee to Guildford, from Samaria to Surrey! Sometimes, especially when we are open to the prompting of the Holy Spirit, we will speak a life-changing word to a person we meet only once. But the most likely way we will spread the Good News of Jesus is with the people whose lives interact with ours on a daily basis. Last Saturday night, I did something very Biblical. Jesus often ate with tax collectors. I sat down and had dinner with some bankers! It was the 25-year reunion of my undergraduate physics class. Lots of physics graduates end up working in finance. I, of course, took a slightly different route, first a PhD in astrophysics, then seminary, and now nine years working as a priest. Naturally I wore my clerical collar rather than a black tie – it’s a great conversation starter! I was seated next to a student who’d started a year after me. She was from a Catholic family – her uncle was a priest – but she wasn’t a churchgoer. I’ll call her Shirley, though that’s not her name. We haven’t had a conversation for 20 years, and there we were, former physics students, now a banker and a Catholic priest. She wasn’t convinced. She was scandalised that I was willing to accept the written message of the Jesus-of-then, rather than my own sense of relating to the Jesus-of-now, as authoritative. I’ll tell you something even more scandalous! Did you hear it in our reading from Acts? It didn’t say the first Christians devoted themselves to the teaching of Jesus – it said they met to listen to the teaching of the Apostles! Jesus didn’t write a book. Our faith is not like Islam, which claims that an angel dictated God’s word directly. We believe that God lived among us, told stories, and instructed 12 chosen Apostles to pass on the message – authenticating what they did by giving them the power to heal and pass on the Holy Spirit to those who received their word! Today, our Pope and our bishops are the successors of the apostles. From the vast store of Christian wisdom, they choose to issue documents highlighting those teachings which are most useful to our life in the 21st century. St John Paul II, Pope Emeritus Benedict XVI and now Pope Francis each bring their own eye to the needs of the church and the world. When I step up to the pulpit to preach, I come not with my own opinions, but with the Teaching of the Apostles. There was a second thing that bothered Shirley at that black tie dinner – it was a comment I have also heard from many parents who have asked to have their children baptised. Surely you don’t have to go to Church to be a good person, to be a Christian? Well, let’s look at what the first followers of Jesus did. They were attentive to the Teaching of the Apostles. Now, in the Internet Age, you certainly don’t have to leave home to learn something, but here in Guildford, in the Homegroups, you meet to deepen your understanding of the Teaching of the Apostles. It is good, and human, to meet to discuss these things. They met for the “breaking of bread”. I have yet to meet a parent who says “we don’t have to go to church to be a Christian” who claims to have celebrated the “breaking of bread” at home. It’s what we do in Church, the Eucharist with an ordained priest presiding. From the writings of Justin Martyr, we know that in the early days of the Church, the Christians gathered to hear the Word of God read for as long as time allowed (don’t worry, I won’t do that tonight!) followed by a sermon. Then the minister presiding “gave thanks at considerable length” – I like to imagine a long, charismatic prayer at this point. Later, when the Roman Empire legalised the Church, they had to recruit a lot more priests quickly, and only then did Eucharistic Prayers get written down and circulated. In the Homegroups, we don’t often meet for the breaking of bread, but it is good that we are here tonight, offering Mass to give thanks for the cycle of activity now ending and to pray for the year to come. I’d like to say a special word to those among you who are followers of Jesus, but not members of the Catholic Church. It can seem awkward, on a night like this, that we do not invite other Christians to communion. But there is a certain integrity about that. Each of you will have your own reasons for belonging to the church you do belong to. When a Catholic minister holds up the consecrated Host and says “the body of Christ”, he or she is saying, abbreviated, “We believe that Jesus commanded the Church to ordain priests with the power to turn bread and wine into His true body and blood; we are one body in Christ because we receive Holy Communion and accept the teaching of the Apostles, given through the Bishop of Rome.” If you are tempted to ask “But why can’t I receive?” then ask yourself this: “Why am I not a Catholic?” The answer to both questions is the same. Yet we can worship together in all other aspects, sing the same songs, say the same prayers. Let us focus not on the one thing which divides us, but the many things which unite. The early Christians were faithful “to the fellowship”. That’s another reason for coming to church. To have fellowship, we have to be together – stay-at-home Christians miss out. The very word “church” in Greek is “ekklesia” which means “the gathered community”, the “people called-out”. As a church, we are only as strong as our fellowship with one another. It’s a sign of the strong community in the Homegroups that I am here with you 10 years after leaving Surrey. Yet in those 10 years, some of you have been in regular touch by post, and others have opened your dining tables, homes and spare rooms to me over the years. Don’t take that for granted – there are not many Catholic parishes in this country where you can find the same sense of community. The early Christians were faithful “to the prayers”. Now, that’s one thing you CAN do at home. But the Bible affirms the power of “two or three” praying together. Asking God for help is quite intuitive. But a true Christian knows who God is, and chooses to worship. So here we are tonight, to worship. As we look back on the cycle of activities now closing, let’s give thanks. Thanks for the teaching received. Thanks for the Masses we have attended. Thanks for the friendships made and restored in our fellowship. Thanks for those prayers which have been answered. Let’s also pray for the future, for the new year of life which will pick up from September. Let’s pray for a deepening of our commitment to understand the Teaching of the Apostles. Let’s pray for vocations, so we will always have priests for the breaking of bread – perhaps God is calling someone here tonight to the ministry of the altar, as a priest or deacon. Let’s pray for new members in our Homegroup Fellowship, and the courage to invite people to come – to come to know Christ, to come to Alpha, to join the Homegroups. And perhaps I could ask you to pray for “Shirley” – God knows her real name – that after our conversation, she begins to understand that the Gospels are trustworthy and that she is truly invited to be part of our church, with all its human flaws. They were faithful to the Teachings of the Apostle, to the breaking of bread, to the fellowship and the prayers. Do this, and the same Holy Spirit who worked wonders through them will most surely work through you, too!